Here’s the thing about debt: When you have a low income, you think that you have to use debt to purchase the things that you/need want. Buy now and spread your payments out over time! But here’s the thing about having a low income: you can’t afford to tie up your limited income with debt payments. 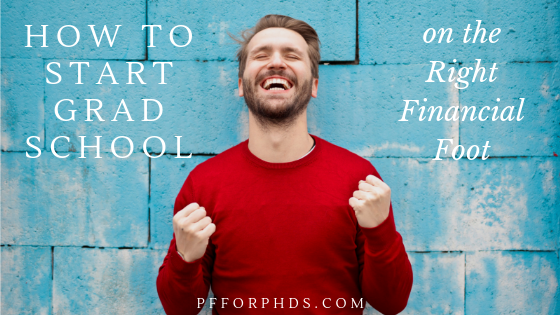 If you are about to enter graduate school, which for most people is an unambiguous period of low income, you should do everything in your power to avoid taking on debt and eliminate the problematic debt you already have. Your stipend isn’t enough to cover basic living expenses, let alone debt payments – you’re going further into debt or spending some time working an outside job. Your stipend can give you an okay lifestyle as long as you don’t have debt payments. You could afford debt payments on your stipend if pressed, but there are a lot of other things you’d rather do with it (e.g., lifestyle upgrades, saving). 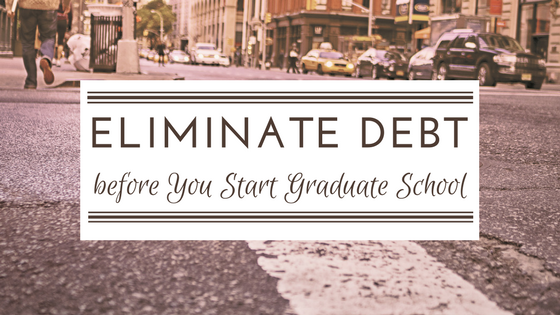 If you are planning to start graduate school next year or soon, take the next few months to eliminate your debt or at least reduce it as much as you can. If you can’t eliminate all of your debt in that time frame, you have to triage! Sort your various debts by priority level and work on them from highest priority to lowest priority. (This method is a hybrid of the snowball and avalanche methods of debt repayment.) The objective is to minimize the debt payments you need to make during graduate school, which means eliminating certain kinds of debts entirely if possible. With this method, you will pay the minimum balance on all of your debts and throw as much money as you can scratch up toward the top priority debt. Once you have eliminated that debt completely, you move to the next top priority debt and throw everything you can at it. Concentrating your efforts like this gives you the best chance of paying off a single debt completely, therefore eliminating its minimum monthly payment and lowering the total amount of money you are required to pay monthly toward your debt once you start graduate school. The easiest debts to eliminate completely are those with low balances. If you have any debt balances under $1,000 or a few thousand dollars, those should become a high priority because they are possible to eliminate completely in just a few months. Also a high priority is high-interest rate debt because that is the debt that is growing the fastest and costing you the most money overall. For example, if you have two debts both with balances of approximately $1,000, you should prioritize the one at the higher interest rate. Check with your lender to be sure, but student loans should have the option to be deferred while you are in graduate school. Since there would be no minimum payment due on these loans once you matriculate, they are a lower priority to pay off before you start graduate school. However, that does not mean that you should ignore them completely prior to or during deferment. Unsubsidized student loans accrue interest even in deferment, and it is common for student loans to have a moderate to high interest rate. If you eliminate your higher-priority debt and can start paying your student loans down before graduate school, definitely do so, starting with the highest interest rate loan. If you’re near the start of your home ownership journey, I’m betting there’s no chance you can pay off your mortgage in just a few months. (If that assumption is wrong, go for it!) Mortgage debt will therefore be in your life during graduate school, so prioritize paying off basically any other debt before you start making higher-than-the-minimum mortgage payments. However, if you do own a home, you need to check that you will still be able to afford the payment once you switch to living on your stipend. Selling your home, renting out your home, and renting out bedrooms in your home are all good options if you can’t afford it on your stipend. You may discover, as you look at your stipend offer letter and add up your minimum monthly debt payments (taking into consideration what you can eliminate before you start graduate school), that you either can’t afford all of your remaining payments or that maintaining all of them would financially paralyze you during graduate school (no fun, no saving). Your best option in this case is to eliminate your collateralized debt, which is your debt that is against a specific asset that you own, such as your home or car. A very accessible scenario is if you bought a car and took out a car loan based on your previous higher salary, and now that car payment is far too high for your lower stipend. A simple fix is to sell your car, pay off your car loan, and buy a less expensive car (ideally without debt). You may “lose money” by doing this because you owned the car over a period of steep depreciation, but that consequence doesn’t change your inability to afford the payment on your stipend. The advice in this article applies to practically anyone who is about to start graduate school and not currently in graduate school, even college students. Certainly, if you have a higher-than-a-stipend salary right now, start cutting back your lifestyle to what it will be during graduate school and use the cash flow you generate to pay off your debt. 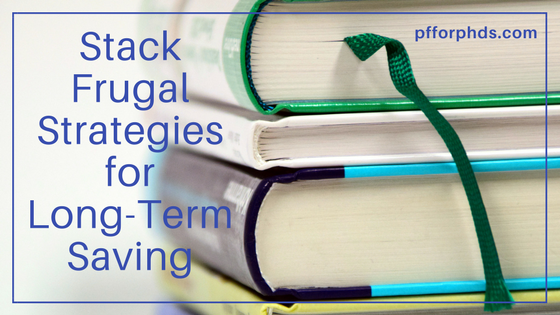 You have to do it pretty soon anyway, so you might as well make your transition to graduate school less of a shock by acclimating yourself to the necessary frugality and eliminating as many minimum payments as you can. However, even if you have a low-to-non-existent income right now, e.g., you are in college, you still have time on your side. Yes, you need to keep your grades up until graduation. Yes, you should enjoy your last few months with your college friends. But you still almost certainly have more free time now (and especially over the summer!) than you will once you start graduate school. That time can be used to generate a side income that you can immediately apply to debt repayment. Bonus points if you can establish a side income that you can continue during graduate school (time permitting), such as online freelance work or passive income. One caveat: Don’t become so focused on debt repayment that you forget to save up some cash. It’s very helpful to have a small amount of savings available to you during your transition to graduate school, particularly if you have to move. There are a lot of expenses involved with moving and establishing a new residence and possibly fees to be paid to your university, plus most graduate students have to wait rather a long time (over a month) before their first paycheck arrives. It does you no good to work so hard to eliminate your problematic debt only to turn to a credit card because you have no savings for the transition. How intense you need to be in your debt repayment relates to how much high-priority debt you have and your ability to repay debt during graduate school. The more debt you have that is possible to eliminate entirely and the lower your stipend relative to the local cost of living, the more essential this process is to complete prior to matriculation. 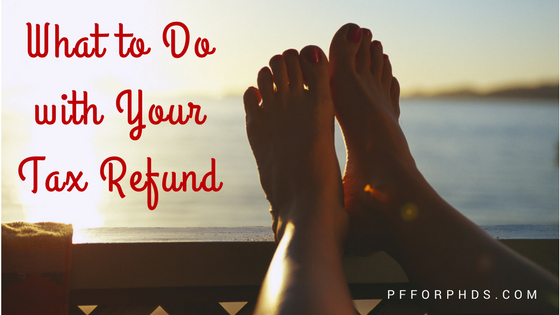 You’ve just received your tax refund for the year and it’s burning a hole in your pocket! Whether your tax refund is a couple hundred or a few thousand dollars, there are many possibilities for the money that can further your financial goals and increase your life satisfaction. Before you consider investing or paying down debt with your tax refund, I want you to think about your upcoming year and ask yourself how much cash you should have on hand. Is your emergency fund a bit anemic? Do you want to make any large purchases in the next year but are not sure yet how you will pay for them? Are you coming up on an employment transition, during which it is very helpful to have cash on hand? Are you facing an un/under-funded summer or term? A yes answer to any of these questions is an indication that you should use your tax refund to beef up your cash savings. I particularly like the idea of using a tax refund to jump-start a system of targeted savings accounts. I think targeted savings accounts are an amazing solution to the problem of irregular expenses. The really difficult part about implementing them is that at the beginning you both have to cash flow your current large irregular expenses and save up for future ones. That can put a big strain on your budget. But if you use your tax refund as the start to your targeted savings accounts, you can make the process a bit easier. If you have sufficient cash flow and/or savings for all your desired purchases in the upcoming year, it’s time to consider using your tax refund to increase your net worth. With a sizeable lump sum, you can make a big leap forward with any of your current financial goals. If you currently have any bothersome debt, throw your tax return at your top priority debt. Following the debt avalanche method, you would prioritize paying down your smallest debt first. How amazing would it be to eliminate one debt completely with your tax refund! Following the debt avalanche method, you would prioritize paying down your highest interest rate debt first. This is the debt that costs you the most on a daily basis. If you are currently saving for retirement or would like to start, you can make a lump sum contribution to an Individual Retirement Arrangement (IRA). (You can also increase your contribution to a workplace-based retirement account, but that involves more paperwork.) If you receive your tax refund before tax day, you can even contribute to last year’s IRA if you still have contribution room! There are other possible savings/investment goals that you can use your tax refund for, such as taxable investments, a down payment for a home, and a 529 account. Another way to invest your tax refund is in your own personal or career development. I know this is an unfamiliar concept for many PhDs, so hear me out! As far as personal development goes, you could put part of your tax refund toward receiving coaching. I offer financial coaching, and some of my colleagues in the Self-Employed PhD network offer other types. For example, Katy Peplin offers grad student wellness and productivity coaching and a membership community and Caitlin Faas offers productivity coaching. And these examples are only the tip of the iceberg when it comes to personal development! I also am launching a video course on investing for early career PhDs next month. If you sign up during the pre-launch period, your receive a discount and a free Q&A call with me once the course. Another great investment would be in your career. You can explore career options outside of academia through Beyond the Professoriate, a new membership site from Jen Polk and Maren Wood. Jen also offers career coaching. If you’re currently applying for jobs or gearing up for it, Heidi Giusto offers application consulting services. Attending a conference to expand your network and horizons is another perfect use for your tax refund. You know what they say about all work and no play… If you don’t have any pressing financial goals, why not do something fun with your tax refund? Sometimes you look at a lump sum of discretionary money differently from a small amount each month. Could you take a vacation (or staycation)? Have you been eyeing a certain purchase? Do you want to upgrade your wardrobe or home furnishings? How about making a donation? This last idea is not about what to do with your tax refund but rather what to do about your tax refund. Did you like receiving a refund or would you rather keep more cash from your paycheck each month? If 2018 looks similar to 2017 for you financially, you’re probably on track to receive another refund. If you’d rather receive a smaller refund or maybe even owe a little at year end, you can file another W-4 with your employer. You can fill out the worksheet again that helps you estimate the number of allowances you should have and hope that it is more accurate this time around. Alternatively, if you want to dig into the numbers more, you can calculate the amount of money you would like to have withheld from each paycheck and then figure out the number of allowances to claim to get to that amount of withholding. That way, next year you can have your preference: a nice refund at tax time or more money in your pocket throughout the year! This year, my husband and I are using our tax “refund” (technically it’s the amount of money we oversaved for taxes in our own dedicated savings account) for an upcoming cash need. I’m due with our second child in a few months. My husband’s employer offers parental leave at half pay, so we’re saving up to help pay for our expenses during his leave since we’ll have lower cash flow. We haven’t yet learned how much time he’ll be approved to take off, so we’re squirreling away as much cash as we can in case he’s permitted to take a longer leave. We don’t want money to be the limiting factor driving him back to work. It’s a very happy purpose for this money, and I’m looking forward to having some special time as a newly expanded family! Whatever you might think of the Republican tax bill from last fall, it has now been passed into law and has already started to affect your income taxes for 2018. In many cases, your tax burden as a graduate student or postdoc will decrease for this year compared to last year, which means you’ll have more money in your pocket starting with your January or February paycheck. Will Your Take-Home Pay Increase? A few weeks ago, I calculated what the tax burden would be for single or married people with no dependents with the income ranges that are most common for graduate students and postdocs ($15,000/year to $110,000/year). I found that across those income ranges, the tax burden decreased by 20-35%. Families with children under the age of 17 would see an even further decrease due to the larger Child Tax Credit. Sign up for our mailing list to receive the spreadsheet I used to write this post, including a 3-question calculator for your own 2018 tax due. To perform these calculations, I assumed that you will take the standard deduction on both your 2017 and 2018 taxes. If that assumption is true (and your income is in the above range), you should see a decrease in your tax burden. The taxpayers who may see an increase in tax due under the new law are those who currently itemize their deductions, such as households who have in the past deducted more than $10,000 in property tax and state and local taxes together. Another group that may see a higher tax liability under the bill (depending on the rest of their situation) is parents of dependent children aged 17 and older; the exemptions they used to take have been eliminated, and the expanded child tax credit is only for children up to age 16. How Will Taxes for Grad Students and Postdocs Change Under the New Law? I have no shortage of ideas of actions you can take with your increased take-home pay, whether it’s $14.50/month (for a single person with no dependents earning $20,000/year) or $109/month (for a married couple with no dependents earning $70,000/year). Chances are, last month you didn’t have a lot of money lying around begging to be put to use, and starting pretty soon you will have some non-spoken-for money to work with. Don’t let this money just disappear into the ether! Allocate it to something specific. If possible, I recommend you set up an automated transfer from your checking account to wherever the money needs to go so that you relieve your willpower/memory of the responsibility of making the transfer manually. If you don’t yet have a dedicated emergency fund with a balance of $1,000 (or a higher target, e.g., three months of expenses), use the extra money to beef up your emergency fund! When (not if!) life throws you a curveball, your emergency fund is what stands between you and serious financial consequences. YES it is possible and worthwhile to start investing with just a few dollars per month and it’s also amazing to even incrementally increase your existing regular savings rate! Using this compound interest calculator to estimate, adding just $25/month to your investments for one year, at an 8% rate of return in 50 years that $300 will become over $13,000! If you kept up that higher savings rate for all 50 years, it becomes over $172,000! Sure, that’s not all the saving/investing you will need to do for your retirement, but even a small regular savings rate helps a lot. Are You Read to Invest Your Grad Student Stipend? Similar to the investing example, a few extra dollars per month thrown at your existing debt can accelerate your progress to debt freedom. If you currently had $500 in outstanding credit card debt and were making the minimum payment of $25/month, it would take you 23 months to pay off the card. But if you instead paid $50/month, you would knock out that debt in 11 months! While you are not required to make payments on deferred student loans, if they are unsubsidized they are currently accruing interest. For example, if you had $10,000 of deferred unsubsidized loans at 6.8% interest and five years until graduation (and the end of the deferment), putting $25/month toward your loans would decrease the $14,036 you would have owed at the end of grad school to $12,255 (the $1,500 you paid decreased your debt by $1,781). What Is the Best Way to Pay Down Debt? Instead of using your money to increase your financial security or net worth directly, you could double down on your PhD training and invest in your career. Not many universities provide adequate career exploration and training for PhD students and postdocs, especially for “alternative careers.” You could use your increased cash flow to save up to attend a key conference in your field (if you’ve already used the funding available to you) or for a career path you’d like to get into. 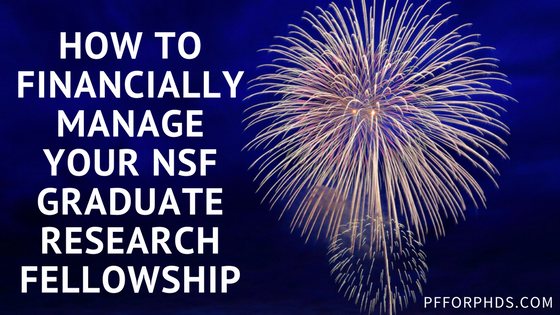 You could join a membership site like Beyond the Professoriate to help you transition out of grad school/your postdoc/your current job and into a fulfilling job. You could take a one-time seminar on negotiating a job offer; think of the ROI on that training! There are plenty of good ideas of what to do with money that will have a positive impact on your well-being rather than your bottom line specifically. Set aside a bit of time to consider what would give you the most ‘bang for your buck’ with this extra cash flow in terms of increasing your satisfaction in your life. You could use it on a monthly basis to take a fancy exercise class, have a special date night, enroll in a new subscription service, or care for a small pet. You could save up over the course of a few months or the year and take an extra flight to see loved ones, purchase new electronics (my husband is currently eyeing an ergonomic mechanical keyboard! ), or update your wardrobe. What will mean the most to you is obviously quite personal, but whatever you choose, the key thing to do is to earmark the extra money for your choice so that it doesn’t get swept up in the rest of your expenses. At any point in 2017 or earlier, did you come across a non-profit or certain cause that you had the impulse to donate to, but you just didn’t have the available funds? This is your opportunity! You can now set up a recurring donation to a group whose work is meaningful to you. Non-profits really appreciate steady contributions that they can plan on. Alternatively, you could set aside a dedicated savings account with a monthly automatic savings rate that is earmarked for giving. My husband and I did this in graduate school for one-off donations that we would make a few times a year, and it was a wonderful feeling to be able to say “yes” when an opportunity presented itself without having to scramble or make hasty calculations. Don’t let this opportunity to act intentionally with your increased cash flow pass you by! 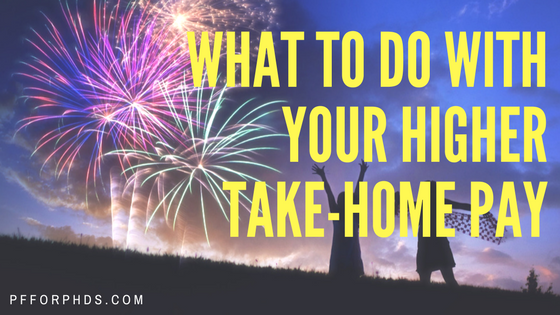 It might be quite a while before you get another increase in your take-home pay so make the most of it.